by Brianna Crandall — April 10, 2019 — Legrand, a Paris-based global specialist in electrical and digital buildings infrastructure, is presenting new experiences around the “Office of the Future” with the recent launch of its advanced lighting sensors, in partnership with Microsoft Office 365. The company also announced the launch of a new range of connected self-contained emergency lighting units. Commercial buildings, particularly offices, are also undergoing a digital revolution. Users expect experiences that are as seamless and rich in user value at the office as they are at home. Office spaces are thus being endowed with new connected solutions to simplify the daily life of users thanks to new services that also provide optimized space management for building managers. For more than 50 years, Legrand, a leader in lighting solutions in the United States, has continuously adapted its offering for greater control and higher quality. Until now, these sensors were used to turn lights on and off. Today, the new range of advanced lighting sensors also lets you send information on the actual usage of meeting rooms and workspaces, enabling space managers (office managers, property managers, FMs) to enhance user comfort and generate savings. The Advanced Sensor is composed of a host of sensors measuring temperature, air quality, activity and number of people, in addition to fundamental lighting control functions, integrated into an open and interoperating architecture. It also accompanies the digital transformation of office buildings towards “user-centric” approaches (buildings focused on the users) and “ready-to-service” approaches (buildings as service platforms). Finally, it generates data to be used by third parties, thus fostering the emergence of innovative services for energy efficiency, occupant well-being and optimization of space. The IoT applied to commercial buildings gives working spaces a new dimension. Data stemming from different connected systems present in its infrastructure becomes a new source of value for the manager, thus transforming buildings into services platforms focused on the user. According to the IFOP/Legrand study presented at the CES, 78% of French, 72% of American and 87% of Chinese consumers surveyed are interested in knowing in real time whether a meeting room is occupied or not, and being able to organize a meeting via their smartphone or computer. Microsoft: in addition to its partnership with the Cloud Azure, Legrand has joined with Microsoft Office 365 to take the user experience one step further through its new range of advanced lighting sensors. Thanks to this partnership, real-time visibility lets employees use a room that was reserved but remains unoccupied. 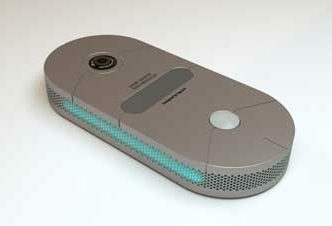 If Legrand’s sensor does not detect people present in a reserved meeting room after a given period, artificial intelligence (AI) makes the room available on the Office 365 agenda. This partnership allows building managers to measure the occupancy of a room and plan maintenance, make decisions regarding the best planning of rooms and room capacity. This partnership with Legrand ties into the dynamics of workspace optimization to simplify employees’ daily life. Together, Office 365 and Legrand’s Advanced Sensor solution improve workers’ comfort and agility while optimizing the time they spend at work. For the company, this represents greater employee satisfaction every day, as well as significant savings. Jooxter: Legrand has partnered with this French start-up, which is developing an automatic real-time workspace management solution. Thanks to this partnership, Legrand is integrating this tool into buildings to precisely measure space occupancy and understand how the space is being used. The number of occupants measured by the Advanced Sensor is essential information for the building manager, who can now adjust the size and layout of a room based on its use. Thus, Jooxter captures the data sent by Legrand’s sensors, making workspaces more agile and reducing unoccupied space. Legrand, a leader in Europe of security lighting, also recently introduced a new range of connected self-contained emergency lighting units. With next-generation security lighting, a facilities manager (FM) can guarantee occupants absolute security and a functional installation in the event of an incident, says Legrand. An FM can easily launch a diagnosis remotely for all sites managed, and generate a report to prepare maintenance. Building managers thus optimize their on-site intervention and time spent, while guaranteeing optimal security for all occupants, adds the company. With this new solution, Legrand is bringing about a shift from corrective maintenance to predictive maintenance. 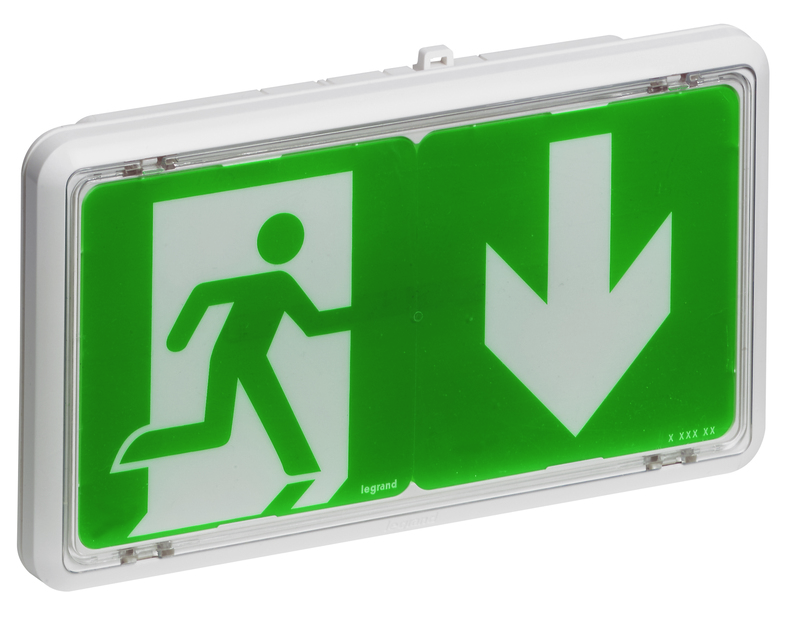 The launch of the connected self-contained emergency lighting units is scheduled for April 2019 in France. In Australia, Legrand launched its connected security lighting solution Galaxy in June 2018, in order to simplify maintenance and ensure that facilities are compliant. Legrand has installed this solution in the Ibis Hotel in Perth and the Crown Sydney Tower in Barangaroo. For more information, visit the Legrand website.